Marble is a calcite stone, which means that it is composed mainly of calcium carbonate. Other calcium based natural stones are limestone, travertine and man made terrazzo. Regular dry sweeping using a soft dust mop to remove any dirt left from; shoes, slippers and airborne dust. This will prevent grit making scratches and dulling the shine. After using your dry sweeping mop you must vacuum the mop to remove the collected dirt and dust. Otherwise, the soil will build up in the mop and start to scratch the floor! Be very careful when using a vacuum to remove dry soil. 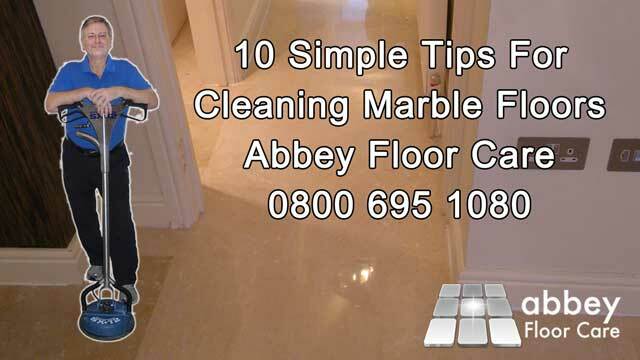 Use a soft hard floor cleaning head and make sure the vacuum wheels clean and do not mark the marble. 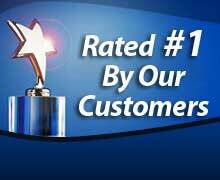 Do not use standard floor cleaners made for linoleum or ceramic tile. Most of these are strongly alkaline and contain chemicals that will gradually attack your floor and dull the shine. Vinegar and water is a popular for cleaning windows. Never use this near or on a marble floor as any spill will damage the marble. Only use cleaning products made for cleaning marble on your floors. These products are made to be ph neutral and do not contain any harmful chemicals. When you mop your floor use a microfiber floor mop and do mot over wet the mop. If the mop is too wet, all you will do is move water over the floor rather than absorbing the soil into the mop. Never mop your marble with washing up liquids as they contain chemicals designed to dissolve any calcium in water to make them better at cleaning dishes. If you don’t have any marble cleaner handy and you need to mop your floors, you can use warm water. Change the water regularly to keep your floor streak free and use a clean mop. Leave the floor to air dry. If you have any stubborn marks do not use scouring creams or wire wool cleaning pads. 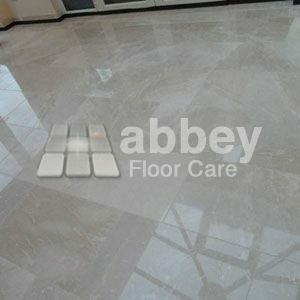 Scouring creams contain abrasive particles that will scratch your marble. Wire wool pads are made for cleaning plates cooking implements that have hard surfaces to withstand the harsh wire. Marble is a soft stone and will be scratched buy harsh wire wool cleaning pads. Marble is a porous stone, even polished marble is porous, which means it can stain easily. If your marble is unsealed, you should apply a penetrating impregnating sealer. The sealer sits inside the stone and helps stop spills turing into stains. Note: Sealers wilt prevent acidic spills damaging marble, but they can help minimise the damage. You should also try to use clean walk-off mats at the entrance of your marble floor. They will collect most of the grit and soil that could end up on your floor. Note: Take care with rubber/plastic backed mats as some polymers can discolour the marble. A similar example is the staining left from old rubber waffle carpet underlay. If you follow these guidelines, you will have a floor that looks beautiful for years to come. If you have an older floor that has been waxed or sealed with surface sealers, then you will need professional help to remove them without causing damage.